Great alone or with an emblem, this is the hat for you! Excellent deal and it fits perfectly, I will only be buying from big head from now on!!! I have NEVER found a hat that fits me. I'm so glad I found Big Head Caps. This hat was everything I had been looking for. The fit was perfect! And, the delivery was so fast. Thanks again. 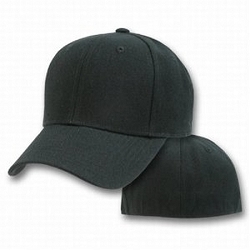 I have a fairly large head and I was looking for a quality plain black hat to fit. I got the 4XL flex-fit and it fits like charm! Good delivery time too. Fits great and well made,I'll be ordering more. Thanks! !